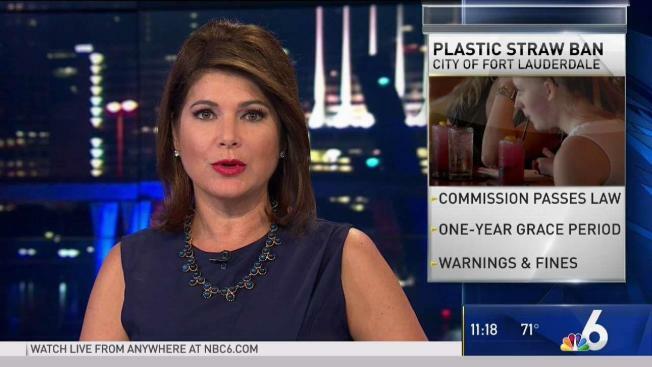 Fort Lauderdale joins a growing number of major cities banning plastic straws. Recently, Fort Lauderdale commissioners voted to begin the process of banning them as well. If you are someone who misses plastic straws at bars and restaurants in several South Florida cities that have banned them in favor or paper straws, one Florida House member introduced a bill to ban those bans. Rep. Anthony Sabatini, a Republican from outside the Orlando area, filled a bill last week that would prohibit local governments from enacting such measures seen as a way to help protect the environment and decrease the amount of trash. “The decision to use plastic straws should be made by the citizens — not government; the decision to offer plastic straws should be made by the business owners — not the government,” the first term representative said in a statement to the Leesburg Daily Commercial. Sabatini’s bill has companion legislation in the Florida Senate in a bill filled by Sen. Travis Hutson, a Republican from the Daytona Beach area. Bans on plastic straws have occurred across the country in recent years. Recently, Fort Lauderdale commissioners voted to begin the process of banning them as well. Recently, a bill that would prohibit grocery stores from using plastic bags and businesses from giving out single use straws was introduced by State Sen. Kevin Rader, a Democrat from Delray Beach.